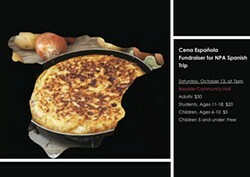 Savor the flavors of a delicious four-course Spanish dinner while helping local high school students explore the world. The menu will include Spanish tortilla, Iberian ham and Manchego cheese, Murcian-style seasonal vegetables, lean pork in tomato sauce with polenta, and a three-chocolate cake. Wine and beer will be available for sale. The event will help raise travel funds for students from Northcoast Preparatory Academy, a public charter high school in Arcata. 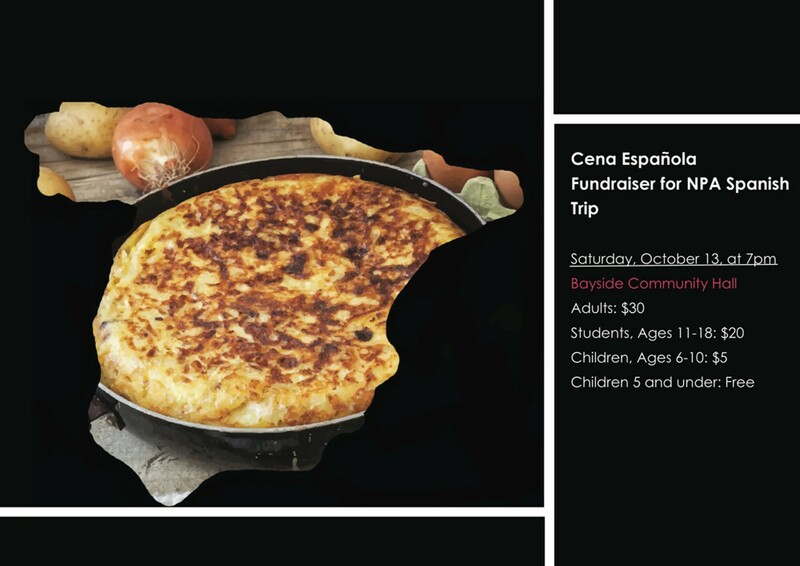 The Cena Española is sponsored by the NPA Parent Council. Tickets are available at Wildberries.